Infant twins Opio and Ochen were found all alone, malnourished, and dehydrated after their mother had committed suicide. It was doubtful they would survive. Looking at them today it's hard to recognize their early start in this world. Love in action transforms lives and is growing these boys stronger and stronger each day. 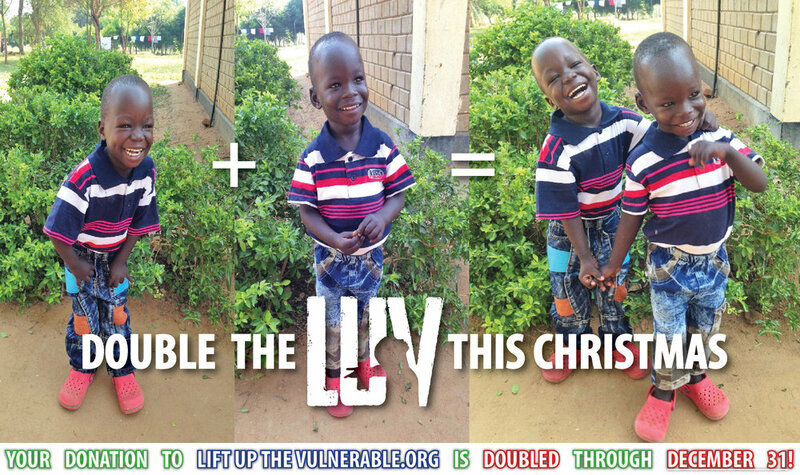 Double the LUV this Christmas and provide hope and healing to the most vulnerable! Your donation to Lift Up the Vulnerable is DOUBLED through December 31st through a $100,000 matching grant! #GiveLUV in honor of someone you love today and we'll send them a note about your life-saving gift.